What Level Of Emission Reduction Can We Expect? Based on the Ultraboost project (SAE paper number 2014-01-1185) where the 60% downsizing resulted in a 23% improvement in tail pipe CO2 emissions the research suggests that our 70% reduction in swept volume should result in a 29% reduction in accordance with Ultraboost findings (pages 25 & 26 of above document) and research from “Future gasoline engine downsizing technologies” by McAllister & Buckley, before the additional benefits of hybridisation, etc. Using the VFR800 as an example we get a downsizing factor of 62.5%, resulting in a new CO2 figure of 119.1 g/km. Hybridisation should reduce that to approximately 83.37 g/km. Transport For London suggest that an average motorcyclist rides 87 miles per week so this would represent a saving of over 546 Kg CO2 per year per motorcycle. Of course, it is the larger capacity motorcycles that tend to do the highest mileage and, even more importantly, pollute the most in the urban cycle where the pollution has the highest impact. It is also the urban cycle where the hybridisation could see the highest electric only use, increasing the impact of the emission reductions where it matters most. Using the ECE calculations for hybrid vehicles, based on the electric only range, would result in an official CO2 output of 42.5 g/km (25 km electric only range), 28.29 g/km (50 km electric only range) & 16.97 g/km (100 km electric only range). Meteor Power submitted an expression of interest and an outline proposal for the Innovate UK funded IDP12 competition in late October. The proposal was based on the compact hybrid power train project for motorcycles & lightweight sports cars although the potential customer base extends far beyond this in to mainstream automotive, off highway and marine applications. The scope of the IDP12 funding process is to support innovations in key strategic technologies as defined by the UK auto industry. 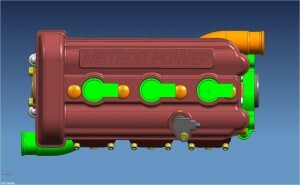 The project submitted by Meteor Power and project partners addresses all four of the main IDP12 ‘hot’ technologies, i.e. 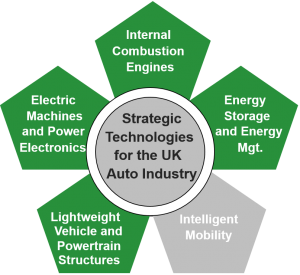 lightweight vehicle & powertrain structures, electric machines & power electronics, internal combustion engines and energy storage & management (see below). 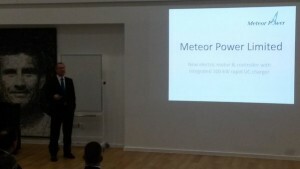 In November Meteor Power was one of twenty nine applications invited to apply for the second stage of the competition and duly submitted a more comprehensive application in mid-December. This application included a more detailed application form, comprehensive finance forms for each of the project partners along with several appendices giving additional information on the potential market, innovations and goals, intellectual property, project development plans, project partners and subcontractors, etc. An unfortunate technical glitch led to one of the appendices becoming corrupted in the upload process, resulting in the loss of formatting on a number of headings and tables plus the loss of a key exploitation plan, curiously the only landscape page in the whole document. Sadly the problem was only noticed on downloading the submitted version after the deadline which proved incredibly frustrating as the exploitation plan was a natural extension of the one submitted for a project under the IDP11 programme in 2014 and can be read clearly in the appendix prior to being transmitted to the central server. Westfield Sports Cars (Project Partner) – The competition required the involvement of a vehicle manufacturer to ensure real world automotive requirements were addressed in the project application. Meteor Power were delighted to have Westfield involved in the project as not only could they advise on their requirements from a four wheel point of view they could also offer support and advice in vehicle manufacturing and regulatory type approval. 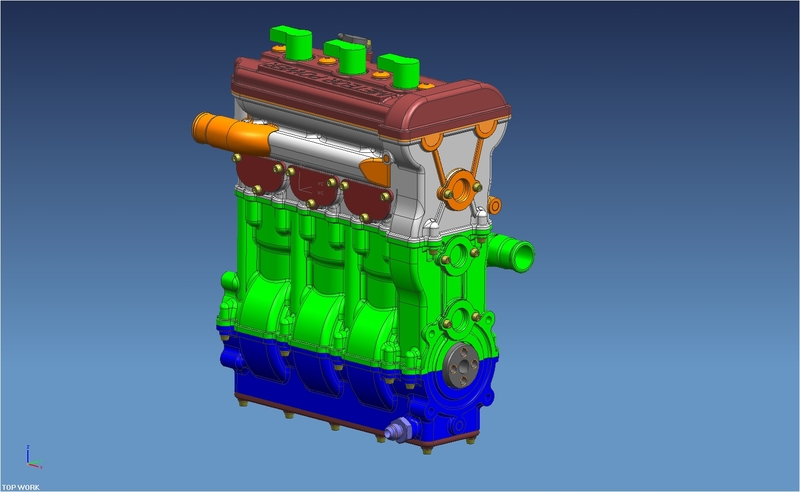 More importantly, the project would deliver a a fully Euro 6 compliant and tested sports car using the new hybrid power train for direct comparison with their existing Euro 6 compliant models. 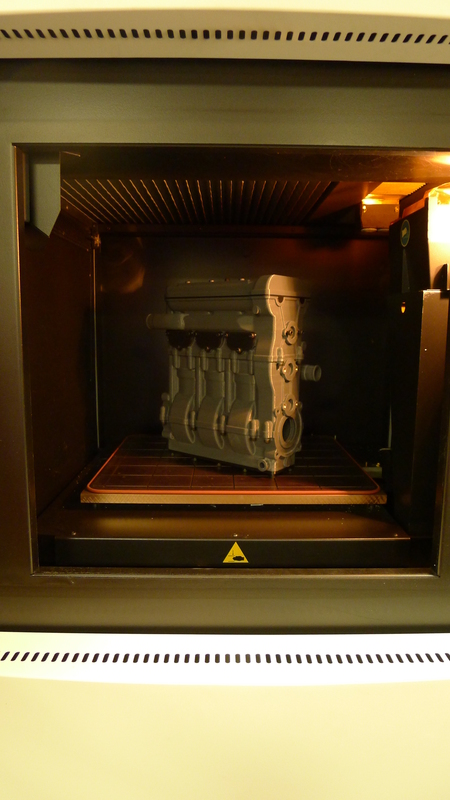 Mahle Powertrain (Subcontractor) – Mahle are involved to offer two key services, firstly to advise on ‘design for manufacturing’ and related quality processes, such as ISO/TS 16949, i.e. 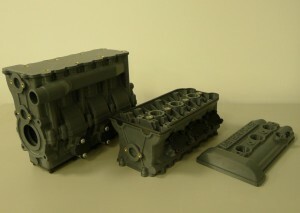 ensure nothing we do early on will prevent issues later on once volumes increase and we ‘productionise’ the building of the petrol engines and power electronics, and secondly, to manufacture and machine the key engine components to the required specifications. Meteor Power have the engine design capability in house, supplemented by Bath University, so Mahle Powertrain are involved as a subcontractor with a view to supporting the project through this stage but with a longer term goal that the project partners will learn enough to be able to go it alone without Mahle on future projects. 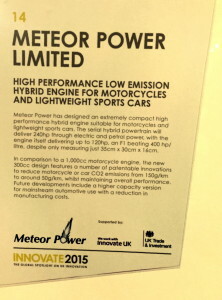 Meteor Power has adopted best of breed approach and selected project partners and subcontractors from a number of Advanced Propulsion Centre (APC) ‘spokes’. Of the six spokes announced so far the project includes the ‘Internal Combustion Engine System Efficiency’ spoke in the form of University of Bath as a key partner plus the ‘Electric Machines’ spoke at University of Newcastle and the ‘Electrical Energy Storage’ spoke at University of Warwick as subcontractors. Meteor Power also has a good working relationship with University of Nottingham who make up the ‘Power Electronics’ spoke should additional support be required. 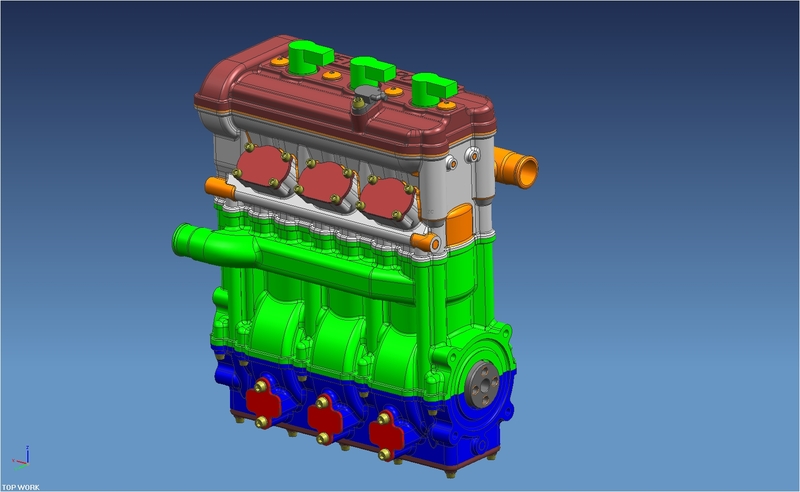 Bath University (Project Partner) – As a key project partner Bath University will undertake much of the internal combustion engine modelling for the project. 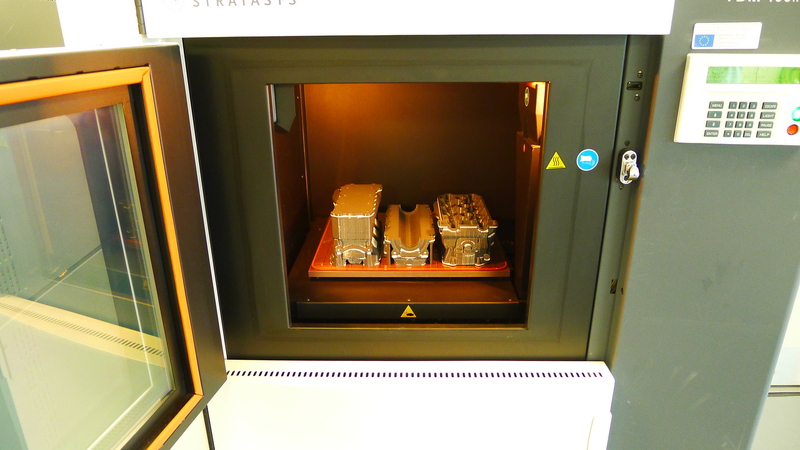 Drawing on their experience with the Jaguar Land Rover led Ultraboost project, amongst others, Professor Chris Brace and his colleagues are perfectly placed to support this downsizing hybrid power train project. Newcastle University (Subcontractor) – Newcastle University are involved as a subcontractor, partly due to the very focused nature of their involvement to support the design and testing of the generators for the project, but also to allow a degree of flexibility for scheduling and risk reduction purposes, i.e. like Mahle Powertrain, they are not on the critical path for the project and, should scheduling or other resourcing issues arise, could be replaced if required. 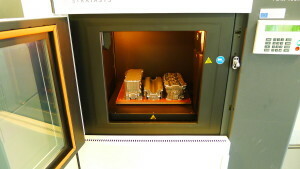 Warwick University (Subcontractor) – Meteor Power have worked with Warwick University on a number of battery related projects due to their experience and facilities for battery testings. In 2015 Warwick University allocated an intern to work on a Meteor Power project to model the energy requirements for an electric motorcycle. All parties anticipate a similar relationship with future interns working on the battery testing for the hybrid power train project with the actual modelling scheduled to be done in house at Meteor Power. Nottingham University (Additional Resource) – Whilst not directly involved in the project at this stage Meteor Power has a good relationship with Nottingham University with Mike Edwards (Meteor Power’s CEO) and Professor Pat Wheeler (from the University) being members of the technical panel for the MotoE European Electric Motorcycle Racing Series. Should additional resources or skills be required during the project the university is ideally places to be able to offer additional support. Compared to a typical high performance motorcycle engine our proposed hybrid engine will be half the weight (30 Kg), half the size (350 mm x 300 mm x 160 mm) and twice the power density (300 kW per litre). These figures are consistent with the BMEP (Brake Mean Effective Pressure, used for comparing engine performance) that is being achieved elsewhere but in a vastly reduced form factor. Reducing the weight of the petrol engine to just 30 Kg and utilising the latest lightweighting technologies to bring the generators down to 10 Kg the hybrid power train is expected to be a like for like weight reduction in terms of the batteries removed from an electric only vehicle, i.e. hybridisation is weight neutral. The same EU research shows “contribution from PTWs increases to 10% & 20% of total road transport NOx & PM emissions respectively by 2020” largely due to introduction of DeNOx & DPF after treatments for passenger cars and heavy duty vehicles as Euro 5 & Euro 6, i.e. motorcycle %-age goes up due to reduction in emissions from other vehicles. The Euro 5 motorcycle standards due to become law in 2020 are the same as the current Euro 6 automotive standards, i.e. any engine that can pass the current four wheel regulations will, subject to some minor variations, also pass the future two wheel regulations. Although only an 800cc motorcycle the Honda VFR800 represents a good example to focus on as it is the only model that has been tested by a number of different organisations with very similar results from each test. 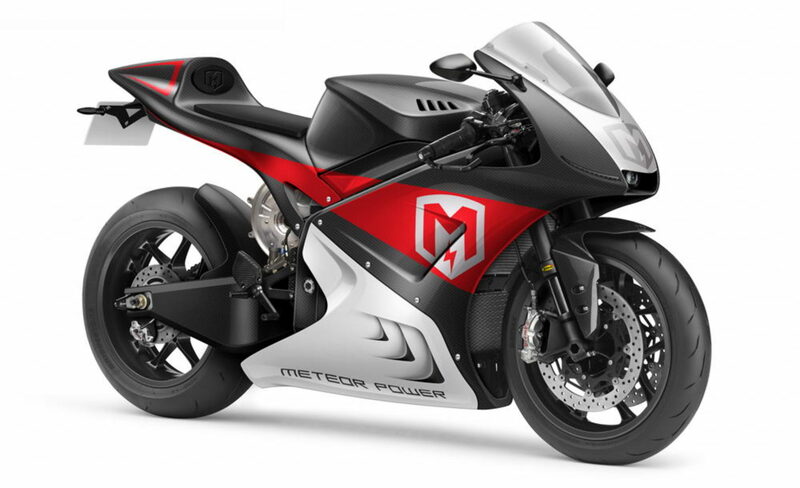 In Meteor Power’s experience a 1000cc sports motorcycle is much more likely to deliver higher average CO2 emissions than the VFR800, reaching up to 200 g/km CO2 under an urban cycle. How Else Will We Make A Difference? 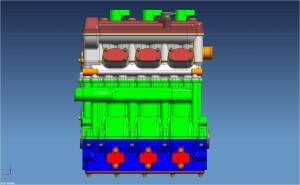 Greatest opportunity in transient control optimisation is reduction, and potential complete removal, of process responsible for generating the majority of NOx and HC emission, i.e. constant changes in throttle input requiring even minor changes in engine speed. 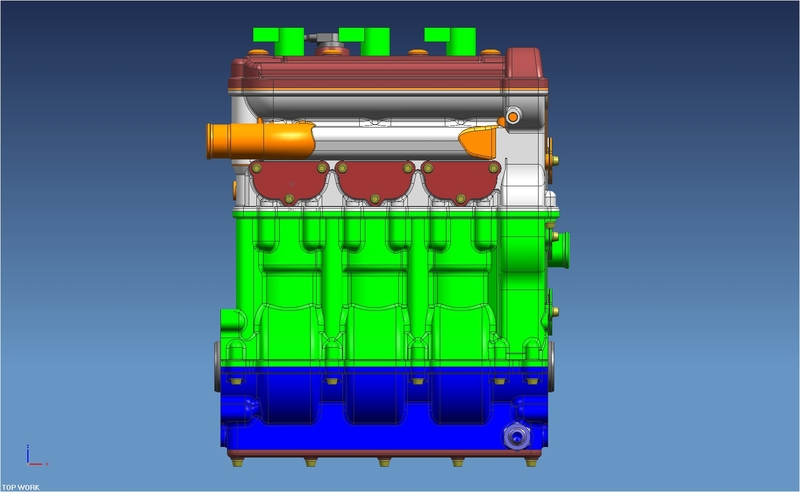 As part of the engine and power management we will incorporate latest Bath University research on “Stochastic dynamic programming in the real-world control of hybrid electric vehicles” [opus.bath.ac.uk/48228]. 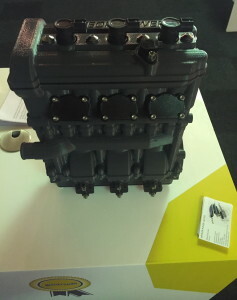 This will improve forecast state of charge requirements based on operational efficiency in real world driving conditions. The compact 3-cylinder 4-stroke design offers significant packaging advantages over gas turbine and rotary engines with better thermodynamics. 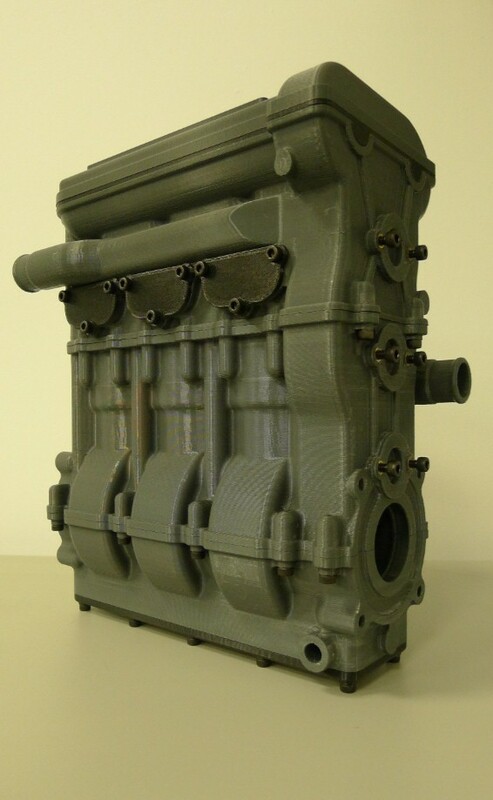 Leading rotary engine supplier, AIE, suggested they would need a much larger form factor to produce 90 kW and couldn’t be sure of meeting any automotive emissions targets. 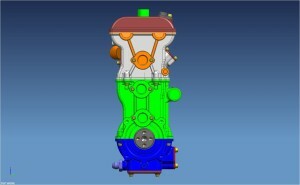 More importantly, demonstrating our ‘transient control optimisation’ along with other emission reductions technologies and power distribution capability in this form will key licensable IP protected technologies to OEMs that can then be incorporated in to their next generation engines rather than becoming a high volume engine manufacturer ourselves. 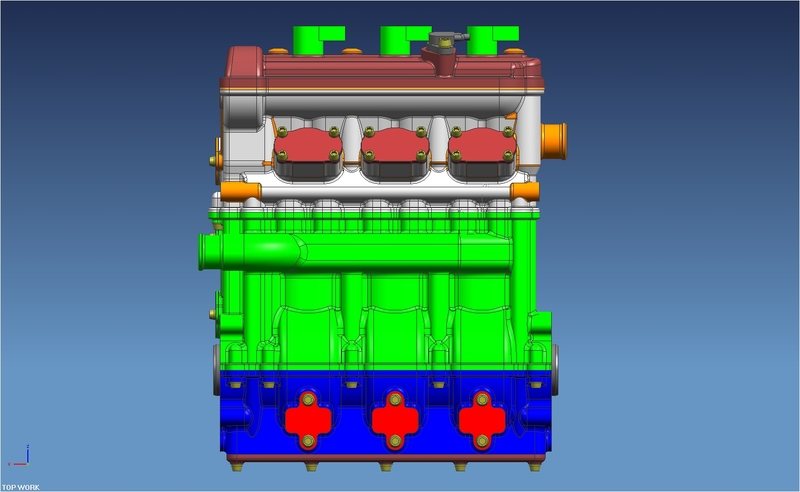 It is anticipated that the four wheel implementation will utilise a larger battery pack to ensure minimum range requirements for CO2 ECE calculations guidelines, i.e. 40 MPG equates to 7.06 litres per 100 km. Based on the ECE guidelines for declared CO2 emissions for hybrid vehicles being able to travel just 25 km under electric only power would deliver a 50% improvement over declared CO2, i.e. 3.53 litres per 100 km. Being able to travel 50 km would result in a 67% improvement, i.e. 2.35 litres per 100 km whilst being able to travel 100 km under electric power would result in an 80% improvement in declared CO2, i.e. 1.41 litres per 100 km. On the 9th & 10th November we were invited by UKTI (UK Trade & Investment) showcase to exhibit our compact hybrid power train at the Innovate 2015 show in London. We met with a number of potential investors in the project and attracted a lot of interest from potential customers. Far from being a purely automotive project we found interest from companies associated with marine, off highway and military sectors, in addition to the more obvious two and four wheel road vehicle markets. The off highway sector was particularly interesting as it wasn’t an area we had considered but the challenges of finding hybrid power trains capable of meeting the latest emissions standards appears to be more of a challenge than we had anticipated. As a result interest ranged from hydraulic platform manufacturers through to aircraft tugs and baggage handling equipment in an airport setting. 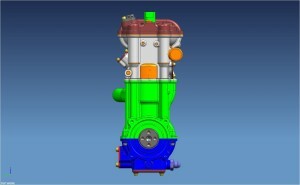 Our largest market will always be for on highway applications and we received enquiries about licensing several innovations, and associated patents, relating to optimising the transition between engine speeds that we have been working on to reduce emissions in addition to organisations interested in purchasing complete power trains. 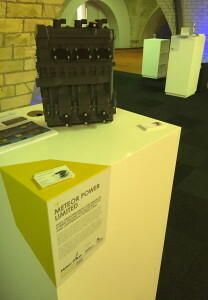 During the last year Meteor Power has met with industry insiders, potential investors and government departments, such as UKTI, OLEV and BIS, to discuss the specifications and designs for a compact hybrid power train. 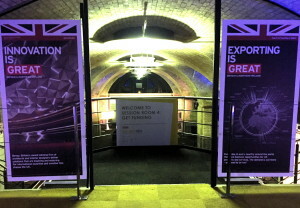 The company was even invited to present the project at the LowCVP event at the Houses of Parliament back in March. One of the most common challenges was being able to demonstrate the level of innovation contained in the hybrid power train and show just how compact it will actually be. With this in mind Meteor Power set about designing a three dimensional computer model that would help. 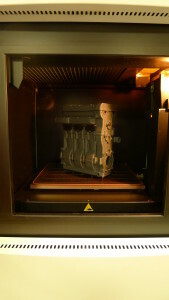 Beginning with the cylinder head design that Meteor Power developed for their Aprilia based MotoGP engine project a couple of years ago the rest of the model was much less detailed although to a similarly accurate scale and capability, i.e. everything about this engine was an accurate size and, with more development, be developed in to a working power train. With help from KW Special Projects in Brackley these components were printed using their latest 3D printing technology. With brass threaded inserts the model components were then bolted together using actual engine bolts with other engine components, such as ignition coils, spark plugs and cam position sensors also fitted. 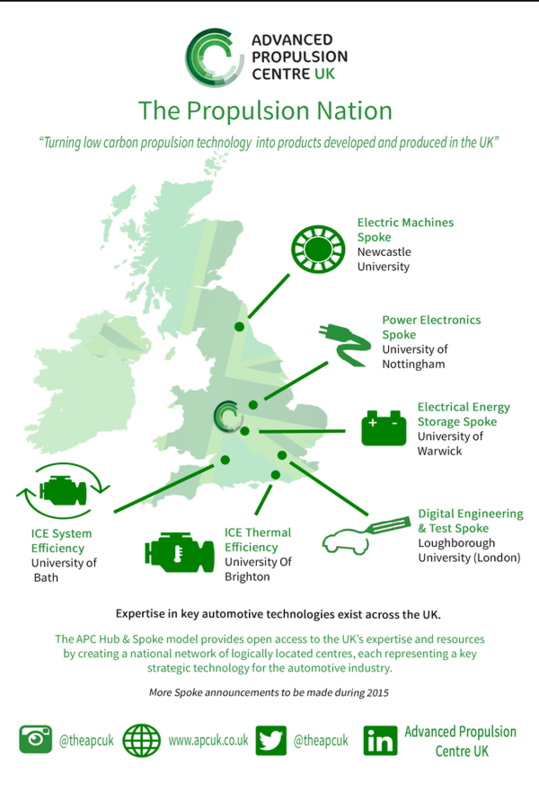 Niche Vehicle Network supports innovation in low carbon vehicles and has awarded Meteor Power a small grant to fund a feasibility study for our integrated fast charging system. After struggling to find an electric motor with the right power density and packaging for use in our new electric motorcycle Meteor Power has designed not only a new electric motor and controller but has found a way to integrate that latest rapid charging technology in to these designs. The feasibility study will undertake additional modelling to confirm that the design will operate as expected, i.e. 100 kW rapid charging fully integrated in to the motor and controller with minimal, if any, weight penalty. The goal is a fast charging system capable of fully charging the motorcycle in around four minutes. With so many choices for securing investment, including Syndicate Room, Crowdcube, etc. the first step to encourage potential investors to read our business plans and proposals is an introductory video. As a result we spent the day at the Low Carbon Vehicle event at Millbrook Proving Ground filming background material and the introduction to the proposal. We are now waiting for the professional renderings of the two electric motorcycles, the Computer Aided Design for the compact hybrid engine and the audited financial forecasts. Watch this space! Meteor Power Limited was one of a handful of companies invited to Millbrook Proving Ground as part of a UK Trade & Industry initiative to introduce international companies to UK companies with specialist skills and innovative ideas. 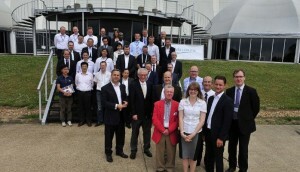 Investors from across Europe, China, Japan and Australia flew into the UK this week to make a guest appearance at world famous Millbrook, the leading vehicle test, validation and engineering service provider. At this ‘Speeding Towards International Success’ event on July 2nd a select group of automotive, engineering and high performance technology companies from across the South East Midlands gathered to meet and greet the international delegation. The investors, invited to Millbrook by the South East Midlands Local Enterprise Partnership (SEMLEP) and UKTI, the Government agency set up to attract foreign direct investment, were treated to a behind-the-scenes tour of this highly secure testing facility. A popular backdrop for many Hollywood blockbusters, guests were given the unique opportunity to see the 70km of test tracks in a variety of exhilarating passenger experiences, including an electric Mercedes Benz, Aston Martin and military-style SWAT vehicle. A number of key note speeches from the region’s leading automotive experts, including Millbrook, Cranfield University, Transport Systems Catapult, Prodrive and Nissan, were held throughout the event, as part of an insight into the ‘complete circuit of technical excellence’ that the South East has to offer. 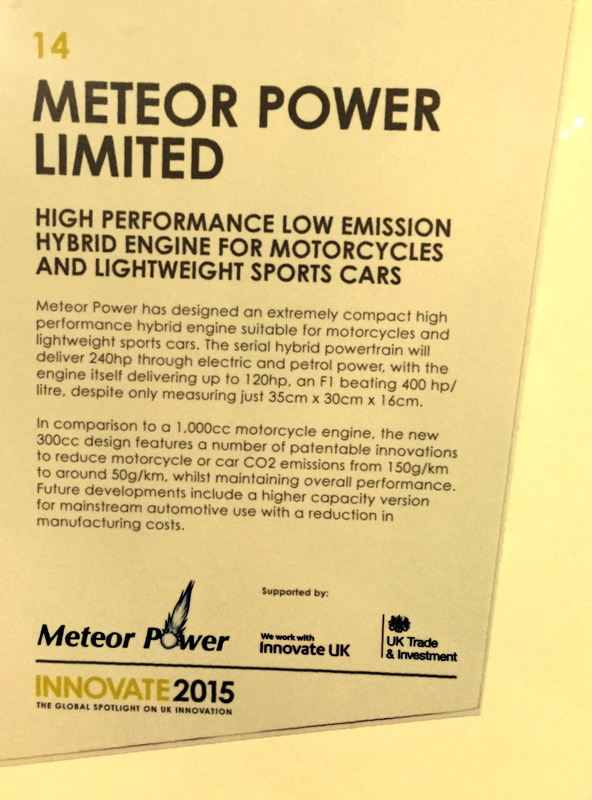 Meteor Power was one of half a dozen companies invited to the Houses of Parliament yesterday to discuss our plans for a high performance compact petrol hybrid engine and demonstrate our mock up to show just how small our innovative new design was going to be. From our research we believe our engine to be half the size and well over twice the power of any of the competition. Our goal is to be able to deliver the same performance as a top of the range petrol sports motorcycle with a third of the CO2 emissions and half the weight. There is a long way to go yet, this two year project is likely to cost in the region of £2M once the sophisticated controller and power management and distribution electronics have been developed. Whilst we were clearly going to need a reasonable space to develop and begin production of our electric motorcycles we were intrigued by a competition held by MEPC, the operators of the Silverstone Park, to promote their newly refurbished Innovation Centre based just outside the circuit at Silverstone. We had to apply in writing outlining what we were trying to achieve and how being based at Silverstone would help us secure investment and move our project forward. We were lucky to make it through to being one of eight finalists. The next stage was to undertake a presentation in more detail on the project development, company financials, etc. to a panel including representatives from banking, education and businesses with close ties to Silverstone. Despite running a temperature and being rather unwell our presentation went well. In fact it went well enough for us to be offered a place in the Innovation Centre for six months and the support of business mentors to help accelerate our plans. As of the 1st December we will officially be based at Silverstone which will have a massive impact on our progress. Even before moving there we have found having a Silverstone address makes a massive impact on how we are perceived, even companies we deal with in the US and China have heard of Silverstone which makes life so much easier than trying to explain where Buckingham is located within the UK.